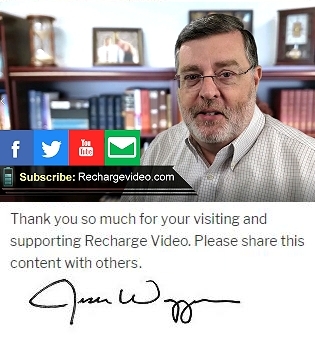 Summer break has started and for the next 3 weeks there will be no new Recharge Video episodes, new episodes begin in August – be watching. 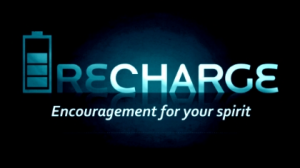 Since September of 2013 I have created 89 episodes of Recharge Video. Thank you for your comments, encouragement and support. Please continue to share with others so that we can grow our audience and share the encouragement. In case you are wondering here is how this ministry operates. Everything you see online is created by our staff of one (me) and we have a yearly budget of $0 – in the future I hope to buy advertising to help get the word out but for now your sharing this ministry with others is the only way to move forward so please help as you can. 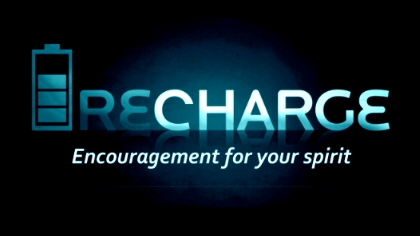 Be blessed and I look forward to being back with new Recharge Videos very soon.